Wrinkles happen, but certain tricks can minimize the effects of aging on your skin and protect it from additional skin damage. While genetics and hormonal changes play a key role in the aging process, the right skincare routine can slow that eventuality down, too. 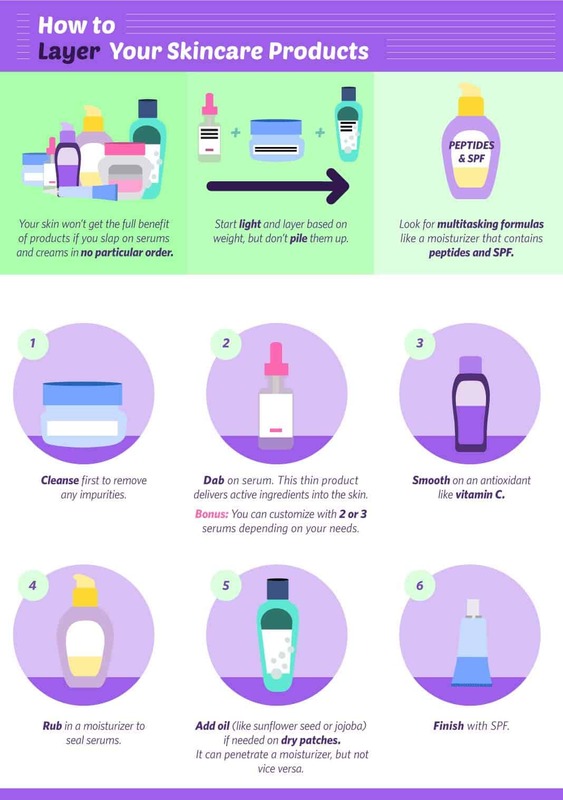 Notice how your skin reacts to certain products—using the wrong ingredients can do more harm than good. The trick is early prevention, then gentle treatment of fine lines and age spots as they appear. Everyone’s skin and lifestyle is different, but here are some great skincare guidelines for each decade. Great skincare in your 20s can help prevent heavily drooped skin later in life. Use a moisturizer with sun protection daily, even on cloudy days, to protect your skin from UV rays. A recent study found that regular sunscreen use prevents wrinkles, spotting, and loss of elasticity. Look for a facial moisturizer with SPF 15 or 30. You can layer SPF over an antioxidant serum (look for one with vitamin C, which is proven to treat and prevent photoaging and hyperpigmentation). A serum will add an extra defense layer against environmental stressors such as pollution and lifestyle factors, including drinking and stress. Certain lifestyle choices can wreak havoc on skin, including drinking, smoking, and sleeping with makeup on. Studies show that people who smoke show more signs of skin damage and skin aging than people who don’t. Even if you come home late from a night out, completely remove makeup before you get in bed. Makeup, dirt, and oil can hinder your skin’s natural repairing process. And while a tan may look good now, it can negatively affect your skin later in life. Skip the tanning booth or the sun’s rays and opt for sunless tanners or bronzers to maintain a summer glow. Drop the bad habits and get into a proper routine you can carry into your 30s. Still using the same acne wash from your teens? Throw it out. The harsh ingredients strip skin of its natural oils. While excessive oil may still be the root of your acne woes, skin is not as durable in our 20s as it was in teenage years, and thinning skin is more prone to irritation from high percentages of benzoyl peroxide or salicylic acid. Wash your face twice daily with a gentle cleanser and use spot treatments on blemishes if necessary. Avoid picking: It can drive bacteria deeper into the skin and cause scarring. Three times a week, swap your cleanser for an exfoliating scrub to remove dead skin cells, and then follow up with a light moisturizer. Since cell turnover is high at this age, there’s no need to add a retinol or anti-wrinkle ingredient into your daily routine . Too many heavy, rich ingredients can cause breakouts, a skin issue many 20-somethings struggle with. Focus instead on prevention and hold off on anti-aging products until they’re really necessary. As for eye creams, look for one that will de-puff and reduce dark circles. At this age, genetics and lifestyle play a major roll in dark circles, but an antioxidant formula in a rollerball tube can help reduce under-eye inflammation. Collagen production slows in your 30s, so it’s a good idea to add ingredients to your skincare routine that will rev up production. Use retinol to rebuild collagen and maintain skin’s firmness, along with a moisturizer to keep skin hydrated and supple. As collagen decreases, skin loses its strength and fat pads under the eyes can look more prominent. Combat this effect with a morning eye cream that contains caffeine. The caffeine will slightly constrict blood vessels. Then use a gentle retinol product at night. Skin exfoliates itself less often—every 35 days compared to every 14 days in your 20s—at this age so it’s a good idea to exfoliate more frequently. In the morning, use a non-foaming cleanser that’s less drying, followed by an antioxidant-rich moisturizer. Fine lines and dark spots caused by UV ray exposure may start to appear. Remember that it’s never too late to jump on the sun protection wagon. Exfoliate at night with a gentle scrub and add a retinol treatment under your moisturizer to improve skin’s texture. Upgrade your routine by adding a treatment with peptides, another anti-aging ingredient that forms proteins similar to collagen. As the skin under your eyes thins, dark circles become darker and fat pads protrude. Gently press cold spoons under your eyes (pop them in the freezer for a few minutes) to shrink blood vessels. Use a peptide serum in the morning and a retinol treatment at night to help build collagen. Wrinkles appear around the eyes first because there are only a few oil glands to hydrate the delicate eye area. Look for an eye cream that contains either retinol or peptides and hydrating glycerin to rehydrate. In your 40s it’s worth it to splurge on a prescription retinoid to prevent sagging skin. It has a higher concentration than over-the-counter retinol, so slowly introduce it into your routine to ease the transition. Since retinol increases cell turnover, add in a cleansing brush to help remove dead skin cells and reveal smoother skin. Continue to use a gentle cleanser in the morning and night; opt for a cream cleanser that also hydrates. Lower estrogen levels will result in dryer skin so moisturizing night and day is a must (look for ingredients such as glycerin or hyaluronic acid). For additional hydration use a mask with hyaluronic acid weekly or before an event. Facial volume will begin to decrease, creating hollows below the cheeks. Fat will accumulate in less desirable places like the jowls. To combat hollowing, consider a facial toning device that delivers low levels of microcurrents to boost circulation and stimulate cell rejuvenation. These devices are typically small, safe, and easy to use, and they’ll temporally tighten the face for smoother skin. Hormonal levels in this decade will result in even lower levels of collagen and moisture, so up the hydration ingredients and use a product with growth factors that trick cells to act like younger cells. Dry, flaky skin can be more susceptible to damage. Choose a cream or milk cleanser that hydrates as it cleanses. Apply a peptide-rich serum under an SPF moisturizer (retinol can make skin more sensitive to sun, so sunscreen is still a must every day) and apply retinol products at night. It’s best to visit a dermatologist once you turn 25 to determine how much sun damage you’ve acquired. 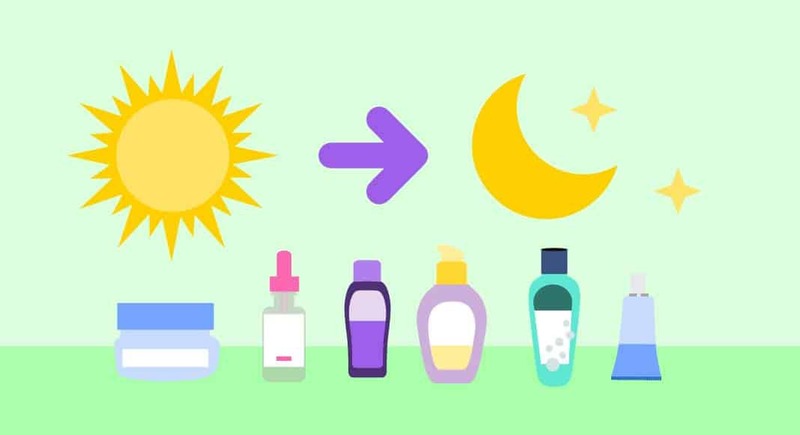 A dermatologist can help guide you toward specific products for your skin type. Have them check out any moles or unusual spots for skin cancer—it’s never too early for monitoring. After easing in an over-the-counter retinol in your 30s, ask your dermatologist if you’re ready for a prescription-strength retinoid to further boost collagen production. In your 50s and older, consider in-office chemical peels and laser treatments to plump up skin and fill in lines. Chemical peels are painted on like a mask and peel away layers of skin to reveal a smoother texture and increase cell turnover. The deeper the peel, the longer the recovery time, which includes redness and flaking, so plan ahead. Whatever your age, don’t expect to see results right away. Give products time to reduce sun damage and fine lines before trying new ones. Maintaining a routine will allow your skin to repair and rejuvenate. Remember it’s never too late to improve your skin care.